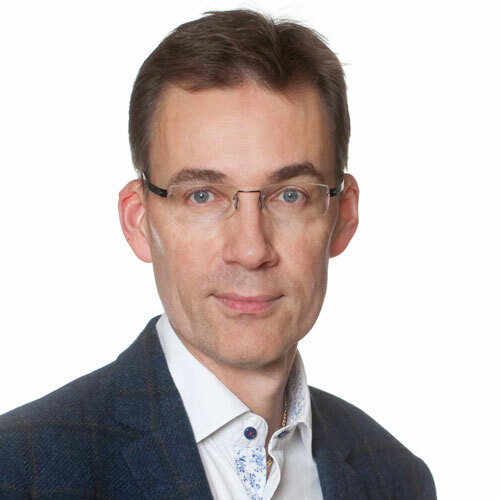 Professor Jan Borén, MD, PhD is currently Professor of Cardiovascular Medicine at the Department of Medicine, Sahlgrenska Academy at Göteborg University and consultant physician at the Department of Clinical Chemistry at the Sahlgrenska University Hospital. His main interest has been to study the role of apoB-containing lipoproteins in normal and disturbed lipid physiology and to understand the molecular mechanism by which the apoB-containing lipoproteins exert its effect on the arterial wall. His research program is translational and involves both in vitro and in vivo studies, including pathophysiological studies and mouse models, and kinetic studies in carefully phenotyped human volunteers. Professor Borén’s outstanding achievements have been recognised by several honours and awards including Irvine H. Page Atherosclerosis Research Awards for Young Investigators, Göran Gustafsson’s Prize in Medicine from the Swedish Royal Academy of Sciences, and membership in the Royal Society of Arts and Sciences. He is actively involved in activities of the European Atherosclerosis Society (EAS) and has served on the Society's Executive Committee as Treasurer from 2008 until 2018 and as Vice-President from January 2017.